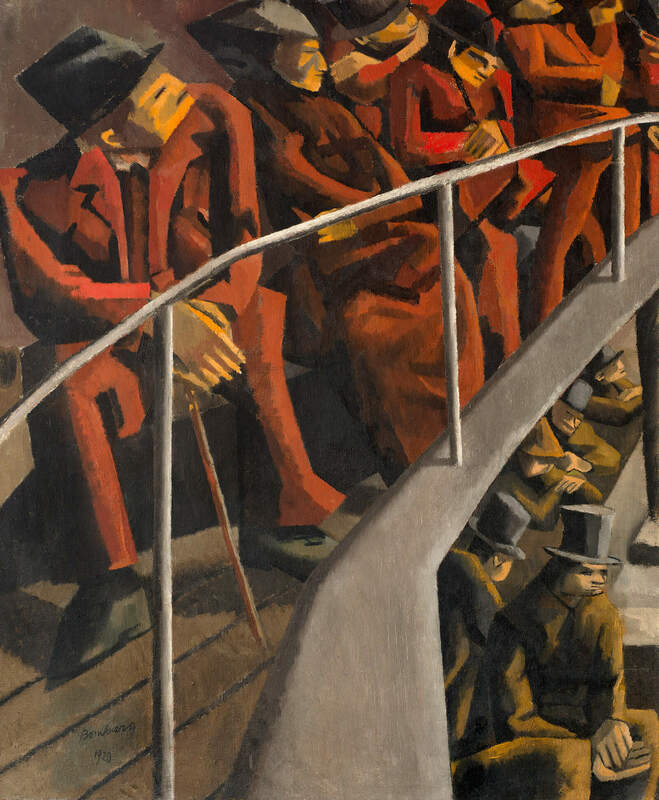 Fran Bigman reviews works by David Bomberg recently on view at the Ben Uri Gallery, London. Bigman writes: "Bomberg’s work, first deemed too radical by many established critics of the time, would later gain the reputation of being too conservative. Bomberg’s entire career can seem like a litany of failure. Labeled an “English Cubist” or “Jewish Futurist,” he exhibited with Britain’s home-grown modernists, the Vorticists, but never joined a movement. His shifts in style baffled critics, he was considered an outsider in his own country, and his attempts to serve as an official war artist were largely rejected. He died in obscurity. Sixty years after Bomberg’s death, however, he is gaining recognition as one of Britain’s most important twentieth-century artists. A current exhibition at the Ben Uri Gallery & Museum in London, the first survey of Bomberg’s oeuvre since a Tate retrospective in 1988, both offers an opportunity to better understand what was radical about his early work and demonstrates how his decisive modernism lived on in later work."